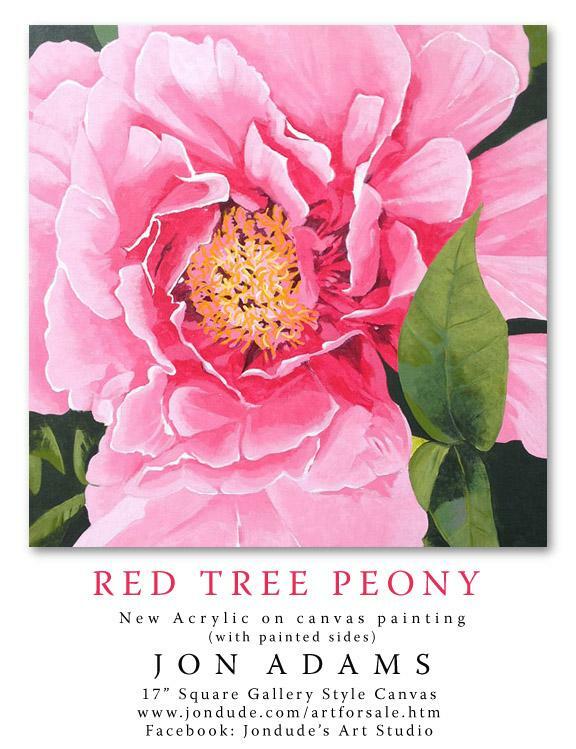 RED TREE PEONY. 17" square. One of your very best Jon. Sending hugs to all those cats.